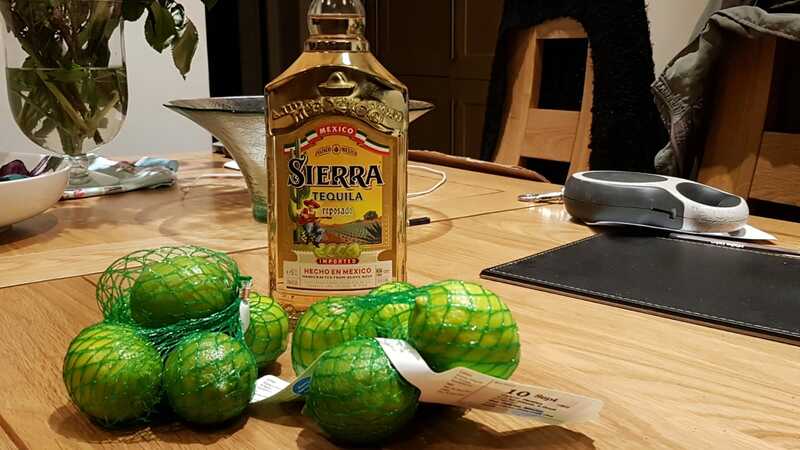 Southport 24hr Race 2018 – great weekend away! 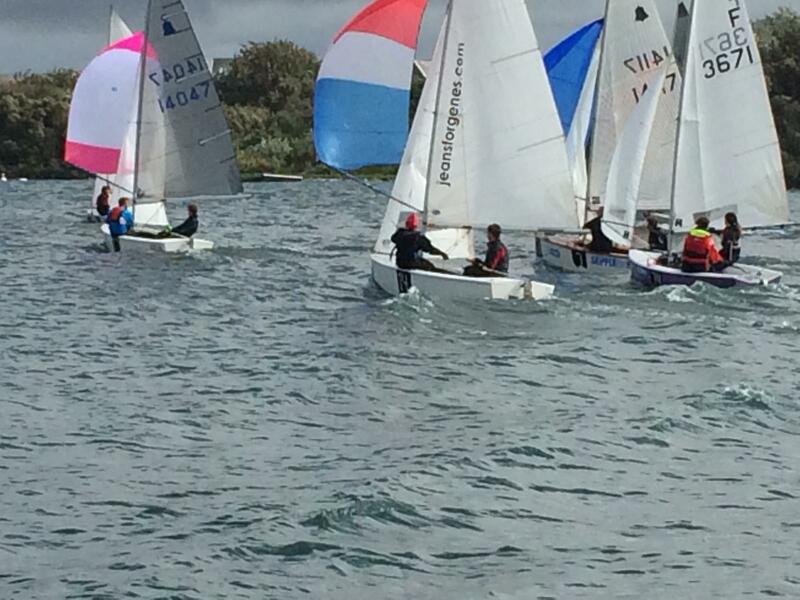 The Southport 24hr race is one of the most testing, competitive, fun and friendly events in the dinghy racing calendar. This year was no exception with 77 entries, making it the biggest for some years. Leigh & Lowton entered a total of 3 teams this year with a GP team, Enterprise team and a GP Masters team – this was the first time (ever?) that we have entered 3 teams, having upped the ante again from last year’s 2 teams. 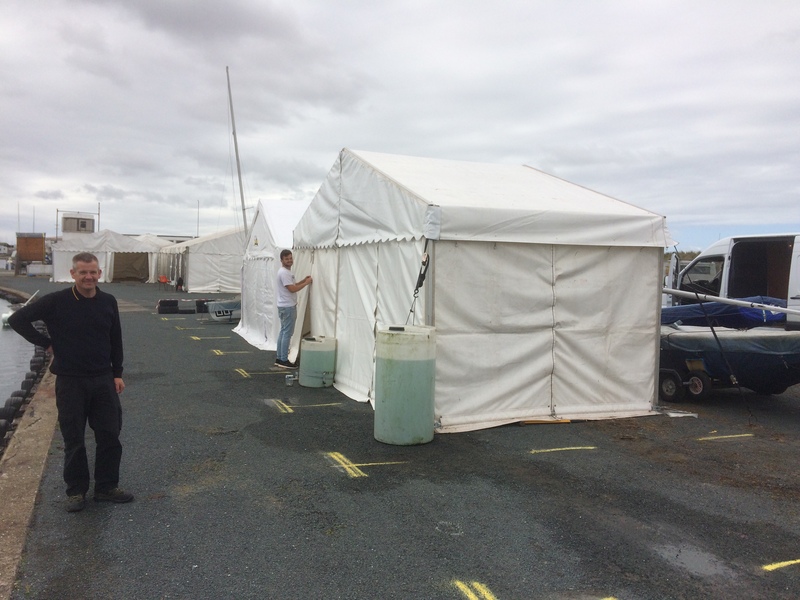 Southport is all about the preparation and true to form the marquee was erected (many thanks to Ian for sorting this while making a slight detour to Paris…) and the tequila was flowing before too long on the Friday night! Saturday dawned with lashings of rain and fortunately all numbers and markings had been attached the night before. There were some moments of panic when an hour before the start it was realised that the GP had taken on a lot of water the day before, but a hasty bung kit replacement and fingers crossed seemed to do the job! Everyone mucked in to get the boats afloat on time. 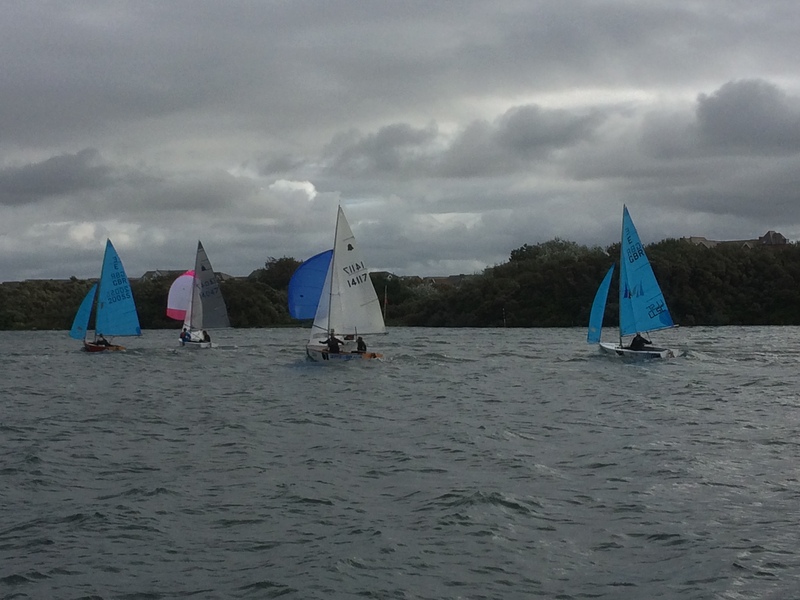 After some slightly iffy downwind starting with Nik James and John Devlin getting the best L&L start in the Masters team, the racing got underway with the GP team picking up 15th place in the race to complete the 1st 2 laps. The Masters team got away to a solid start in the force 2-3 breeze, while the Enterprise settled into a position in the 30’s. With 14-20 knots forecast for the rest of the race teams were preparing themselves for a right old race, but once again the forecasters’ predictions were unfounded as during the late afternoon the wind almost died to nothing before picking up to a force 1-2 late into the evening. A little more breeze took us through the midnight shift but still nothing to write home about. After racing the first few sessions in the 30’s, the Enterprise team overnight (particularly Dave Southwell and Ian Richie) started to make significant inroads on the leaders, jumping in the teens and leap-frogging the GP team in the battle of L&L. The teams remained neck and neck throughout the night and into the morning, both dropping into the 20s early in the morning. 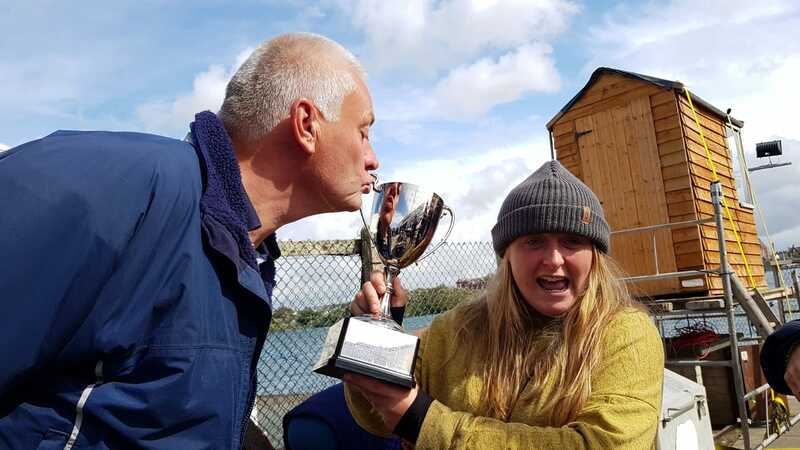 For the breakfast shift the wind woke up and early in their shift Richard and Beth Catchpole took 2nd place in the GP for the fastest lap after 8.00. The wind was rattling the halyards by this point with 20 knot gusts giving plenty of entertainment for the spectators on the spinnaker run on the near shore! 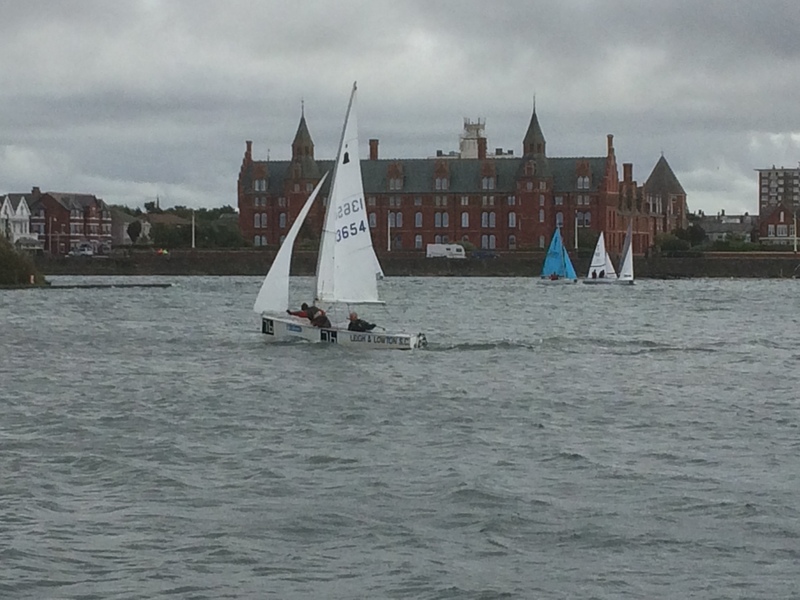 Our teams remarkably avoided any capsizes, despite some of the team members being relative novices and almost all were not used to sailing these types of boats in breeze. We knew the Ladies race would be a big focus for L&L and it didn’t disappoint. Julia Bowden and Tasha de la Fuente took 2nd place with a storming lap in the GP with Laura and Ness put in a fine performance in the Ent in 6th. 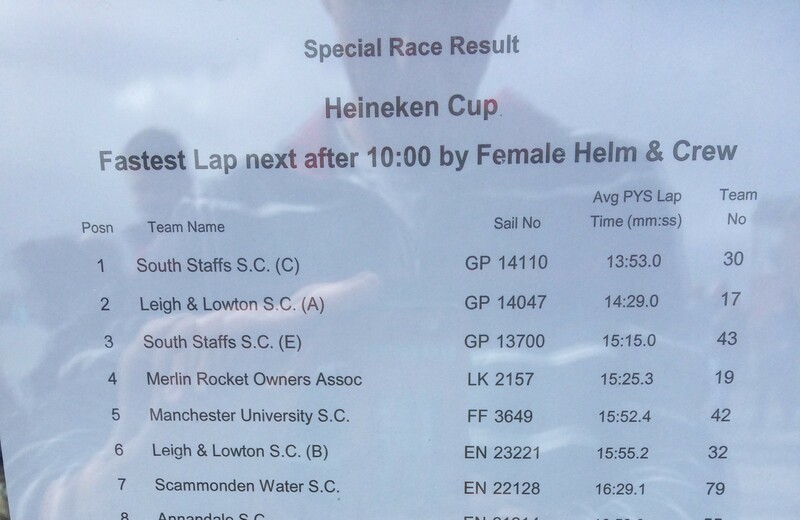 Unfortunately we didn’t have a Masters helm for the Ladies race – maybe next year! 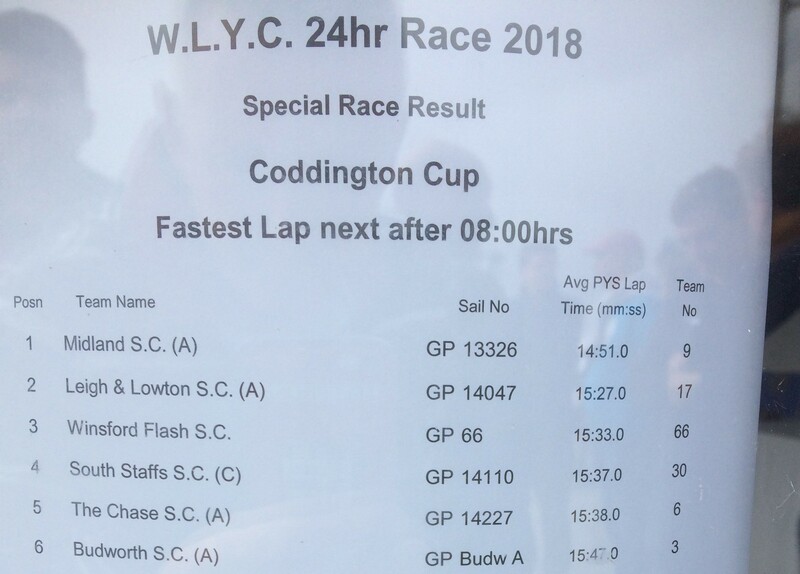 The final laps were chaotic with multiple capsizes and our Ent team were delighted when Chester went for a good swim on the penultimate lap and we took 3rd position off them in the Enterprises. Our teams delivered on the final laps with the GP team now pulling away in the breeze having regain the lead in the morning. Above, the GP team (pink spinnaker), followed by the Ent and separately the Masters with Noe the human jib stick in action on the final lap!! A final finishing position of 18th in the GP, 19th in the Ent and 53rd in the Masters was a credit to the club and the best overall results in year. Thanks to all those who took part or assisted, all the boats got round in essentially one piece which is more than can be said for a lot of teams, with multiple retirements through the race. Well done to the Ent team for their trophy for 3rd placed Ent, good to see L&L on the map in this event. It was great to see some recent improvers and juniors in the team and we can build on that in future years. 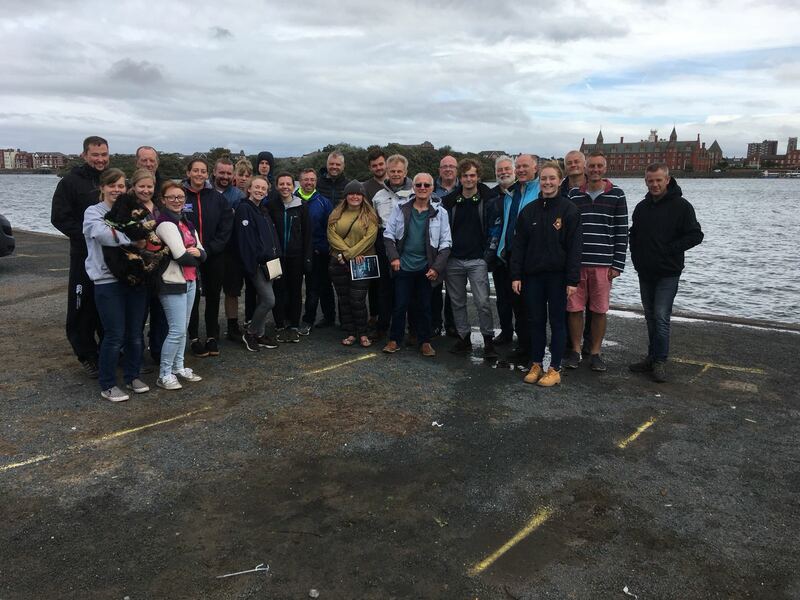 With over 50 people involved in teams and support from the club, this made for an excellent away day and we are already looking at improvements in facilities on shore and also on the water for next year, more training planned to get us used to boats that most of us rarely sail. If you’re interested then look out for posters early next year.